Epione ™ platform (https://www.gnomon.com.gr/relief), an innovative pain management solution that adopts a holistic approach to the treatment of chronic pain reinforcing the patient, was recently presented at the first international stakeholders meeting in Athens. The meeting was attended by the Medical Physics Laboratory of Aristotle University of Thessaloniki, AHEPA Pain Clinic, and Gnomon Informatics SA, who are responsible for the implementation of the project, as well as representatives of patients associations, namely the Hellenic League Against Rheumatism, which is the main consultant from the patient’s side regarding the formation of the platform, the Greek Society of Migraine and Headache Patients, the President of PAIN ALLIANCE EUROPE and representatives of patients associations from Spain, France and Sweden. 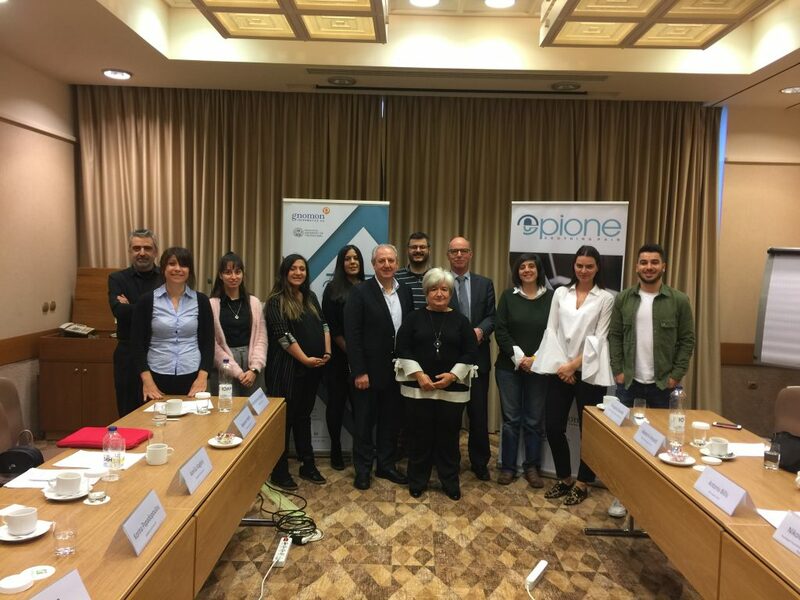 During the meeting, Mr. Kostis Kaggelides, COO of Gnomon Informatics SA mentioned the aims and objectives of the project, focusing on the empowerment of patients and their dedicated role through EPIONE™, via their existing support structures. A live demonstration of the application took place, during which the participants were able to interact in real time and express their comments and concerns. 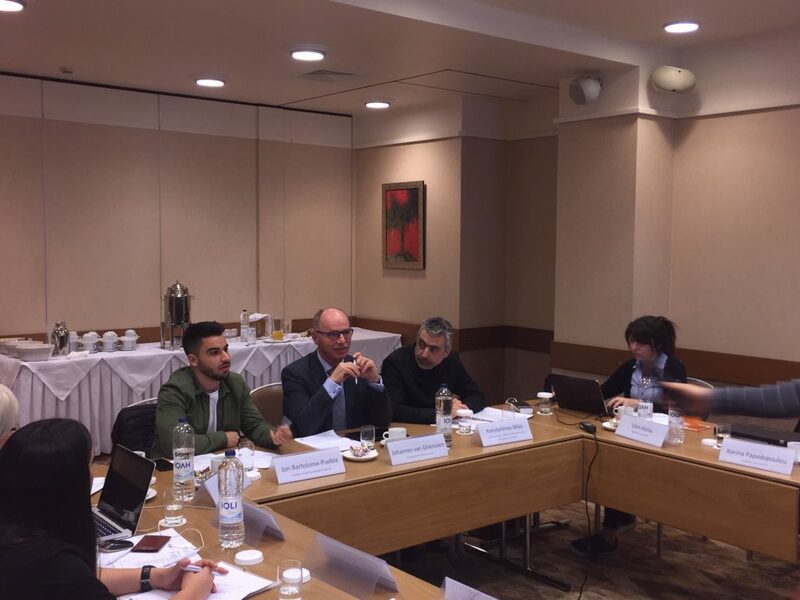 The expressed views have been quite helpful, and all representatives pointed out their strong wish to further exploit digital technologies in the self-management of their illness, while they assured University of Thessaloniki and Gnomon Informatics SA that they will also inform their members about the future use of the application by themselves. Finally, the meeting closed with the main conclusions, as well as with the appeal of Assoc. Professor Panagiotis Bamidis, scientifically responsible for the project, to the members of the associations for their future collaboration and active participation in the creation of a supportive community around EPIONE ™. Epione™ platform, a project of Gnomon Informatics SA in collaboration withAristotle University of Thessaloniki, provides state-of-the-art patient education, patient co-operation, patient self-management and monitoring tools, and is based on Gnomon SA eHealthPass™ platform which allows the rapid deployment of these advanced functions based on international medical data exchange standards. The eHealthPass™ platform is a patient-centered solution that gives patients a way to manage their health information. Epione’s vision is to provide a patient-centered healing experience and promote the concepts of evidence-based practices and personalized medicine. It aims to improve the effectiveness of patients’ visits to the Units of Pain by reducing the time needed for clinicians to obtain a patient’s medical history, to improve the effectiveness of multiparametric therapy and to inform physicians about the progress of each individual patient, to enhance patient adherence and to inform and educate them. Moreover, Epione’s™ vision is to be the tool for developing a patient support network that aims to assist and guide other patients with chronic pain. Finally, Epione™ prevents unauthorized access, can incorporate existing authentication mechanisms, and uses secure communication protocols for information exchange, according to the recent GDPR rules.